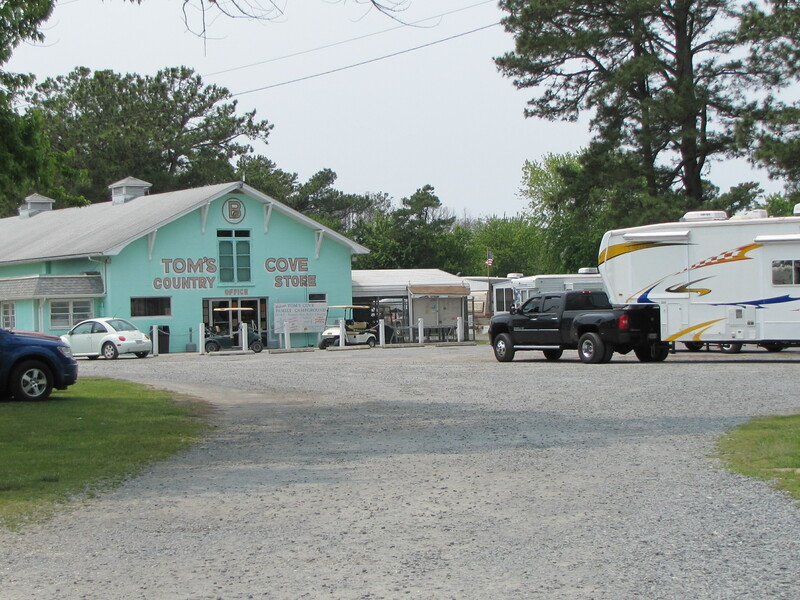 Tom’s Cove Park is one of two large RV parks on Chincoteague Island on Virginia’s Atlantic shore. The RV park was our stopping point for a couple of days during our jaunt up and down the Delmarva Penninsula. The park is easy to get to, just turn left on the main street when you cross the bridge at the end of the causeway leading to the island. There will be a nice drive along the inner waterway and you will see the signs to the park. The park has over 900 sites with about half being seasonal rigs. There are sites for tents as well as the big rigs and everything inbetween. They offer free WiFi which actually provided a strong connection. The cable TV was available at our site, but it was poor quality. Restrooms and dump stations are scattered around the park, although there are plenty of full hook up sites as well. The store/registration office is very large and stocks a bit of everything from food to power cords to bait. 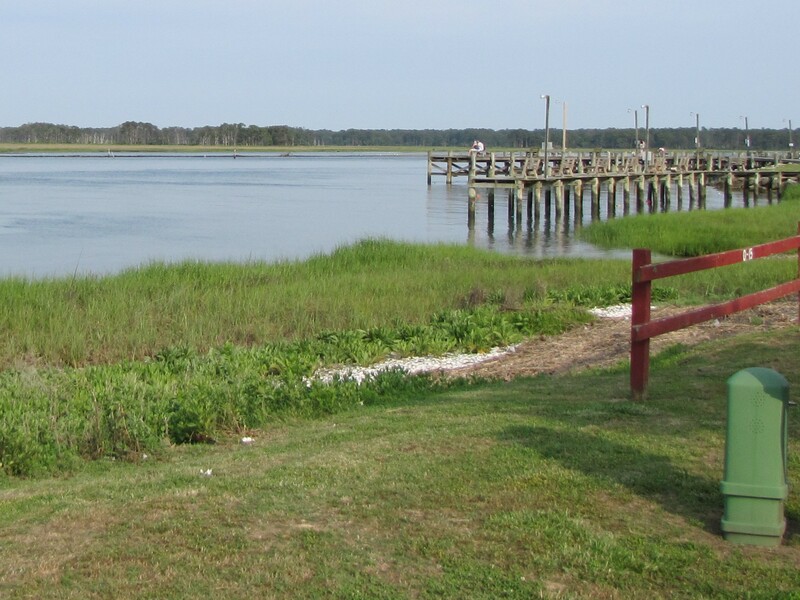 The water is close and several private fishing and crabbing docks will make this a delightful place to wet a line or set the crabbing pots if you are so inclined. There is also a boat ramp and marina on the property. 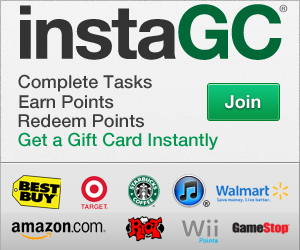 Take a drive through the park and check out which site you want. This is a suggestion I would make. Had we done that before we registered we probably would have picked a different site. There is quite the selection of sites in the park. 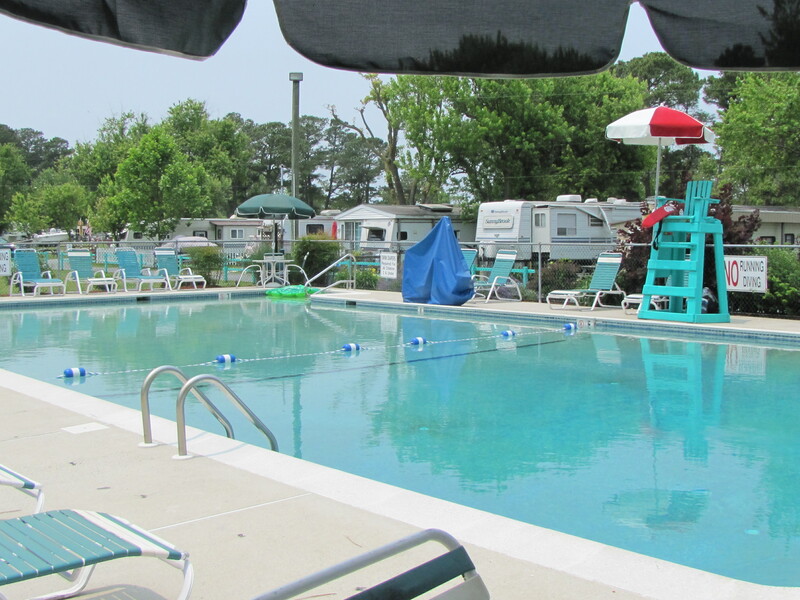 Staff are friendly, fellow campers are friendly and there is also a nice pool with a lifeguard on duty. 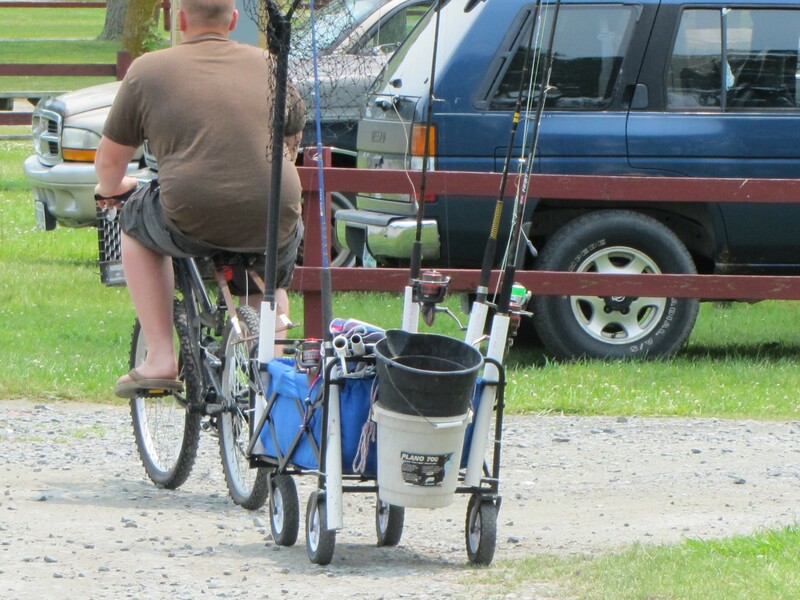 This camper is ready to fish! 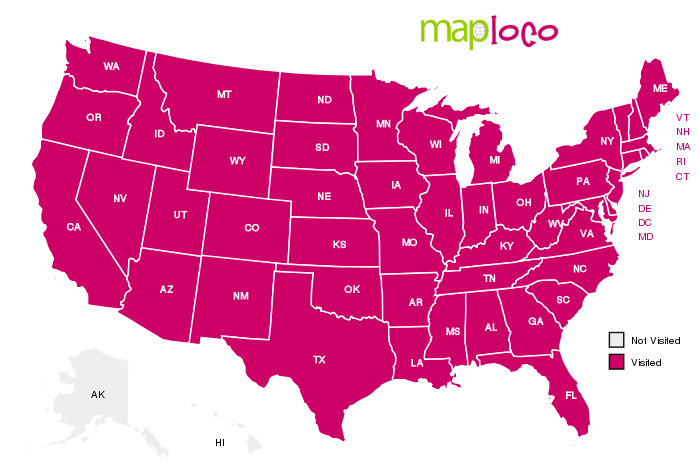 Rates are moderate to high, so pick and choose what you want in your site: full or partial hook-ups, 30 or 50 amp, cable TV or not, etc. All in all it is a nice, clean, safe park albeit on the high price side. Click here for the park Website. 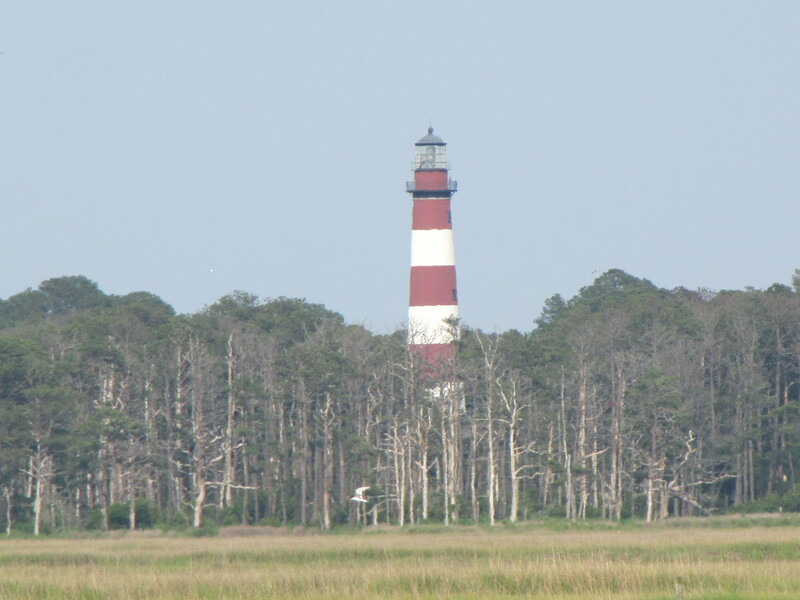 I’ve always wanted to go to Chincoteague (since reading Misty of Chincoteague as a child). 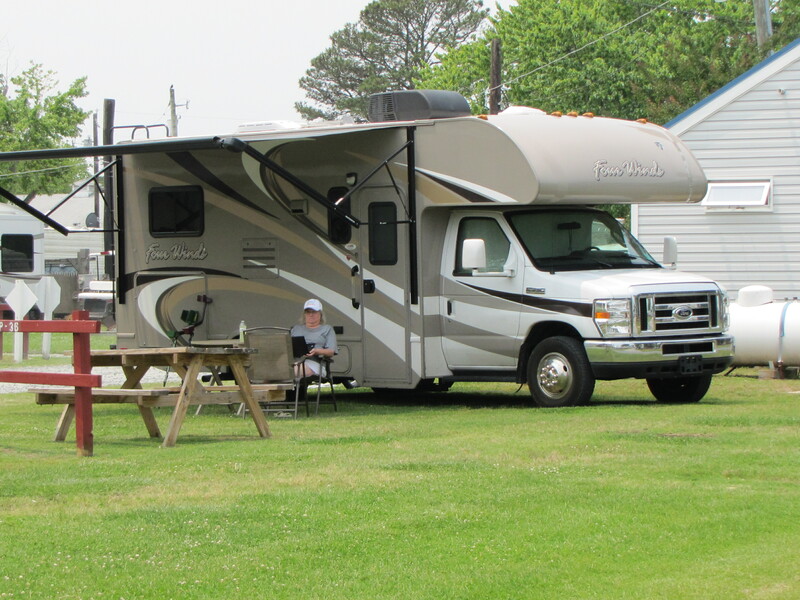 Thanks for the info about this RV park! Thanks, Vicki, glad to be of help with the RV park info. We did get a look at a couple of the ponies when we drove the wildlife loop at the Wildlife Refuge.